The Nokia 3.1 Plus has a big screen and can run for up to two days on each charge without a very high-capacity battery. It looks good and will appeal to a lot of buyers based on the reputation of the Nokia name. However, manufacturer HMD Global has skimped on the processor, using the entry-level MediaTek Helio P22 which means that performance is way below the level that other phones at this price deliver. The cameras are disappointing too, and we got poor results in most of our test shots. On the plus side, the Android One UI is bloat-free and very fluid. Buy this phone only if you value the Nokia name and have very basic needs. 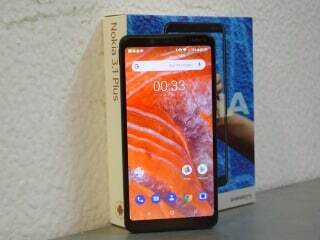 Nokia 3.1 Plus smartphone was launched in October 2018. The phone comes with a 6.00-inch touchscreen display with a resolution of 720x1440 pixels and an aspect ratio of 18:9. Nokia 3.1 Plus is powered by a 1.5GHz octa-core MediaTek Helio P22 processor that features 4 cores clocked at 2GHz and 4 cores clocked at 1.5GHz. It comes with 3GB of RAM. The Nokia 3.1 Plus runs Android 8.1 Oreo and is powered by a 3,500mAh non-removable battery. As far as the cameras are concerned, the Nokia 3.1 Plus on the rear packs a 13-megapixel primary camera with an f/2.0 aperture and a pixel size of 1.12-micron and a second 5-megapixel camera with an f/2.4 aperture and a pixel size of 1.12-micron. The rear camera setup has phase detection autofocus. It sports a 8-megapixel camera on the front for selfies, with an f/2.2 aperture and a pixel size of 1.12-micron. Nokia 3.1 Plus based on Android 8.1 Oreo and packs 32GB of inbuilt storage that can be expanded via microSD card with a dedicated slot. 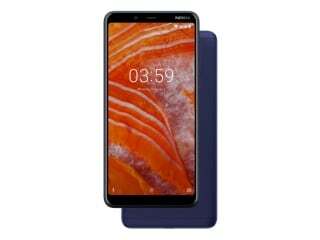 The Nokia 3.1 Plus is a dual-SIM (GSM and GSM) smartphone that accepts Nano-SIM and Nano-SIM cards. Connectivity options on the Nokia 3.1 Plus include Wi-Fi 802.11 b/g/n, GPS, Bluetooth v4.20, USB OTG, Micro-USB, FM radio, 3G, and 4G (with support for Band 40 used by some LTE networks in India) with active 4G on both SIM cards. Sensors on the phone include accelerometer, ambient light sensor, compass/ magnetometer, gyroscope, proximity sensor, and fingerprint sensor. The Nokia 3.1 Plus supports face unlock. The Nokia 3.1 Plus measures 156.68 x 76.44 x 8.19mm (height x width x thickness) and weighs 180.00 grams. It was launched in Blue, White, and Baltic colours. It bears a metal body. 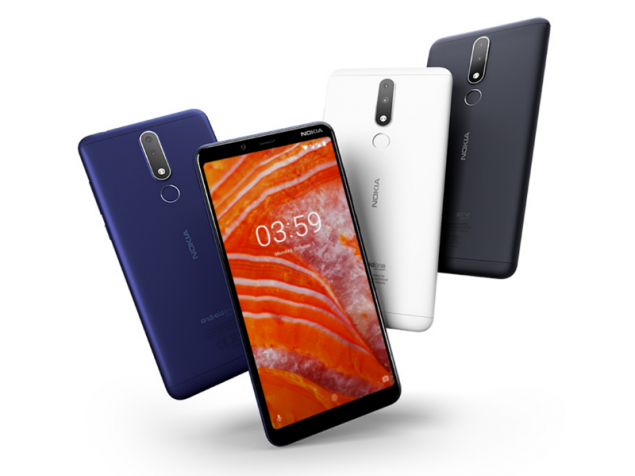 As of 24th April 2019, Nokia 3.1 Plus price in India starts at Rs. 9,175.